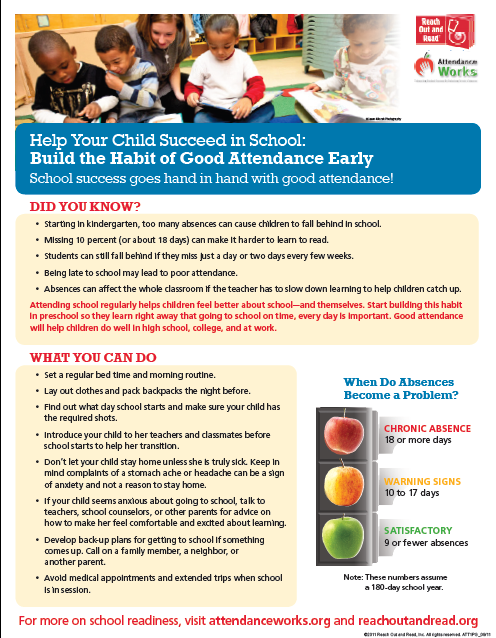 Parents want their children to do well in school but many don’t fully understand the connection between chronic absence and a student’s academic achievement. 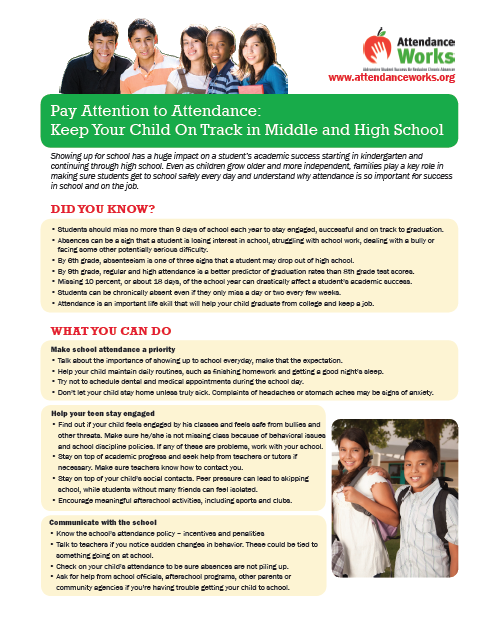 Hand out these flyers to help build the habit of attendance! 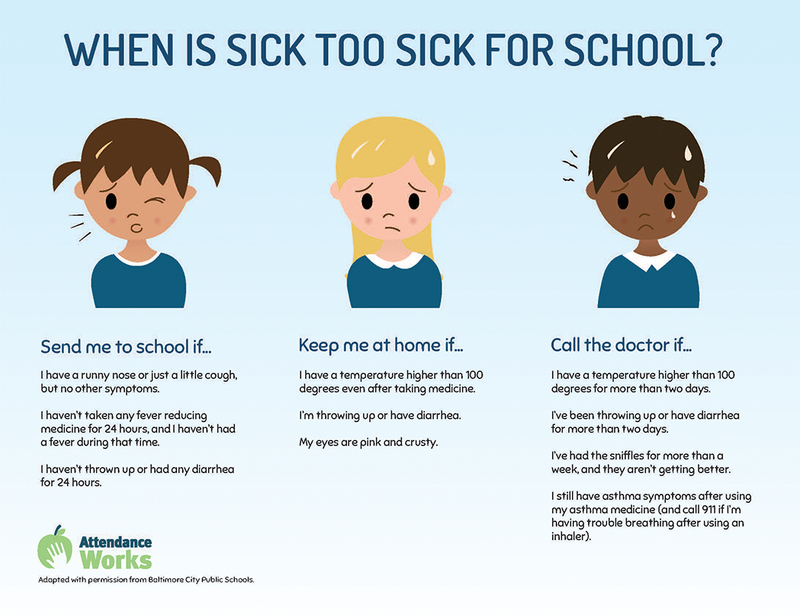 Looking for a handout to help families decide when their children are too sick for school or ready to return? Scroll down this page. 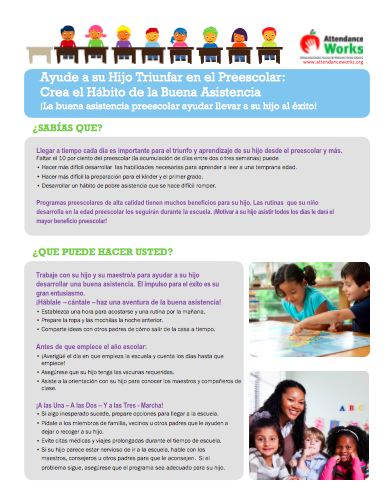 Click here to find the Handouts for Families with Policy Advice on how to request data. 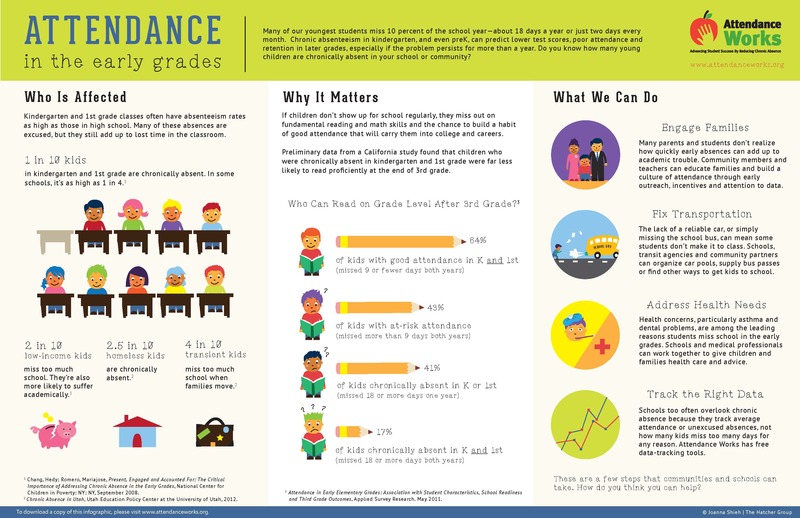 Download our infographic spelling out the facts about chronic absence in the early grades. 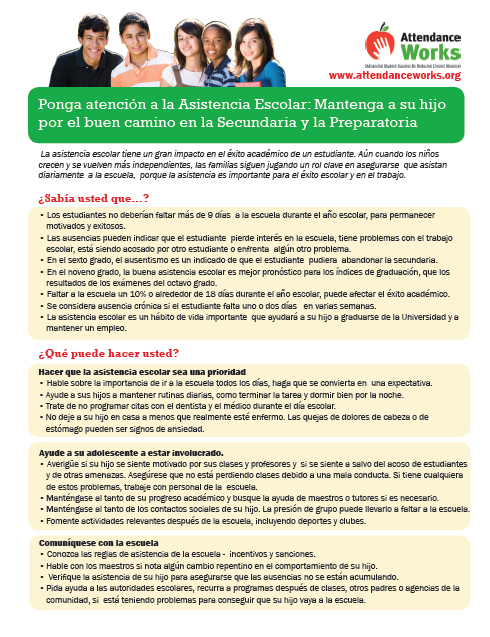 Attendance Works handouts are free to download and reprint. If you want to repurpose the same content in another format, please credit Attendance Works with our logo or a line reading “used with permission of Attendance Works.” If you want to change the wording, please contact Cecelia Leong at cecelia@attendanceworks.org.